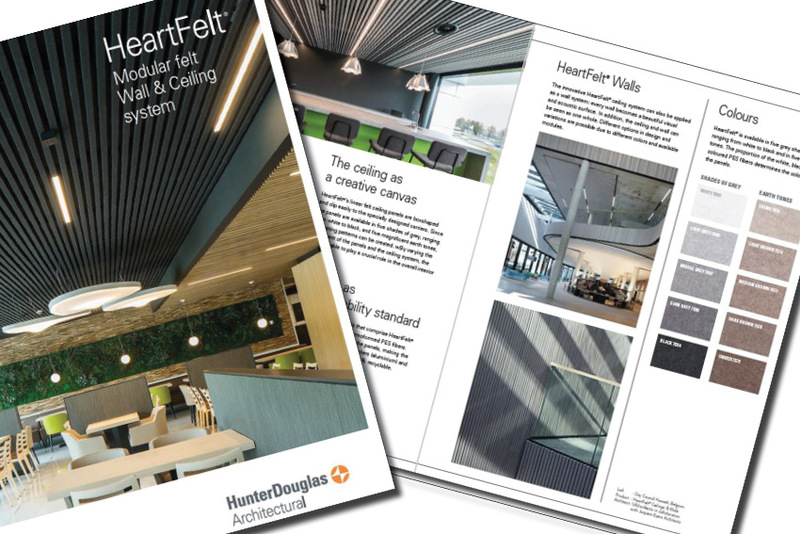 Our innovative HeartFelt® ceiling system is also suitable as a wall system, providing every wall with a fantastic surface both visually and acoustically. What's more, with the ceiling system now also available for walls, ceilings and walls can be constructed as a unified whole. Many different design possibilities and variations are available thanks to the range of colours and modules. 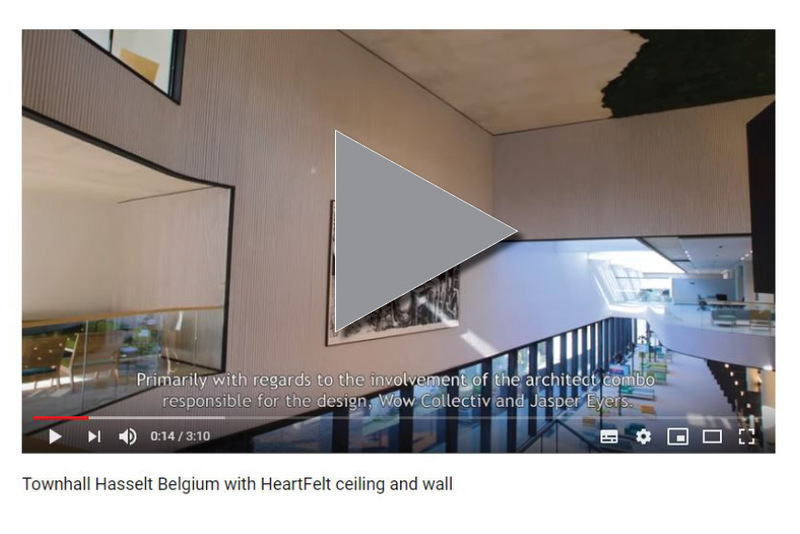 View our first completed project featuring HeartFelt® walls and ceilings here. Download our updated brochure now. Request a sample or contact one of our sales representatives.